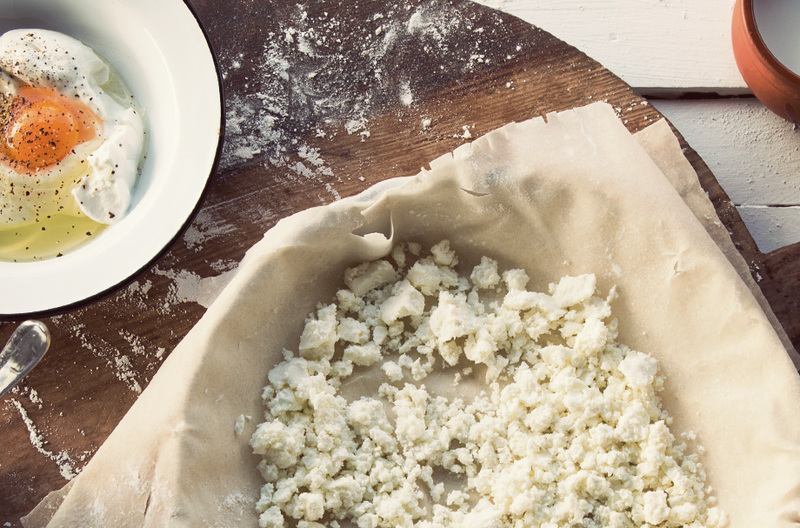 cheese pie with feta and yoghurt | DODONI S.A.
Grate graviera and crumble feta into a bowl. Melt butter and let it aside to cool. Whisk in a bowl eggs with yogurt and milk and add pepper. Mix together the cheese and melted butter and set aside. Grease a round pan about 26cm. Lay one sheet of pastry in the tin, brush or spray with olive oil and layer with another sheet of pastry. Continue the process until you have used half of the pastry sheets. Spread the filling mixture evenly on top. 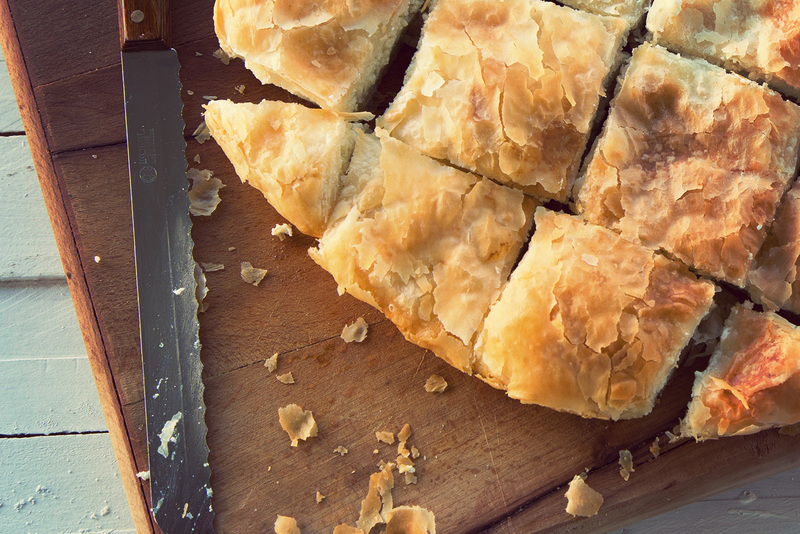 Repeat the layering and oiling process with the remaining filo pastry sheets. Trim away any excess pastry. Bake in preheated oven at 180°C for 45 minutes or until golden brown.